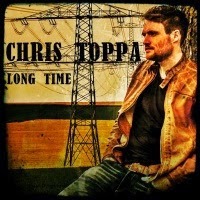 Chris Toppa is one of the upcoming german reggae artists. After playing at Sting Festival in Jamaica in 2011 he got a lot of attention in the german reggae scene. Now he finally finished his debut album "Connected" which will be released on july 11th. The first single is called "Long Time". The video is out now for a few days and already got a lot of positive feedback.